I wanted to find something really special to write about today, World Making Kat Thrilled Day - or World Book Day as it's more prosaically known. We've got so many beautiful book-related posts on Domestic Sluttery that it was going to take something ridiculously wonderful to impress me. And lo, Rich Neeley Designs did not let me down. What this American-based company (I know - but wait!) 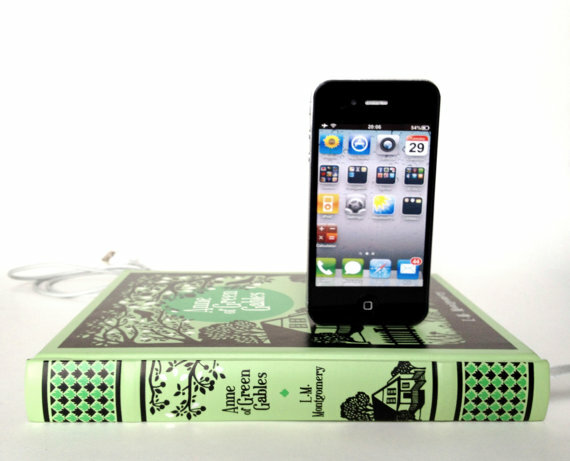 do is take stunning editions of classic novels...and turn them into £45 iPod and iPhone charging docks. 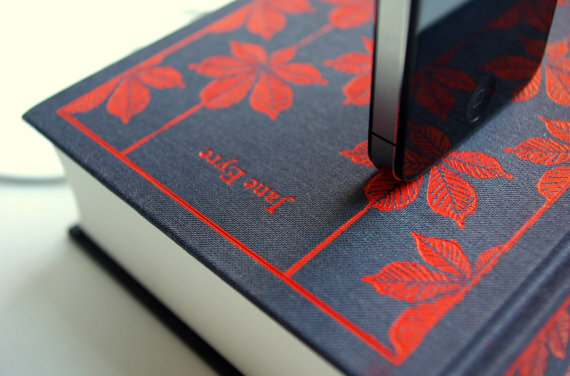 In case you're going "But...but how could they do that to such pretty books?" they only use books that haven't been appreciated elsewhere. Clearly by complete imbeciles. HOLY MOTHER OF HELL! Is what Wendy would have said if she'd seen this Peter Pan book dock instead of a bunch of Lost Boys. The charge cord is hidden inside the book but you can still synch away merrily. 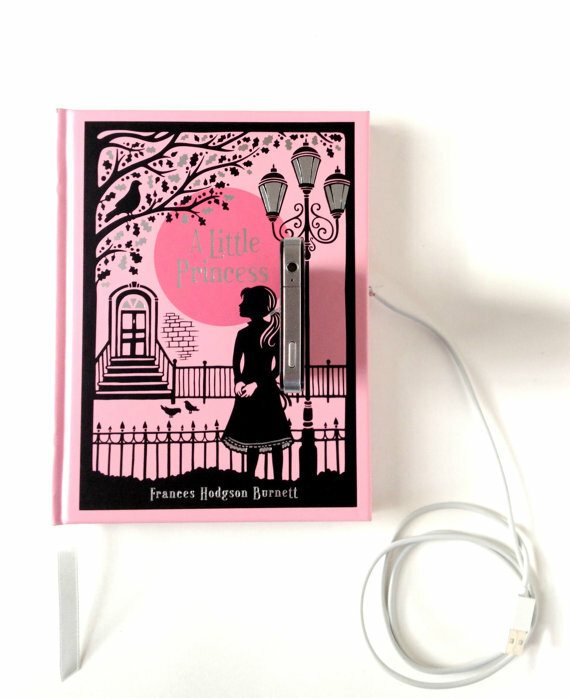 Another ridiculously beautiful edition - Folio, watch out! This morning I was very disloyally thinking how much I prefer L.M.Montgomery's Emily of New Moon series to Anne - what do you think? I'm focusing quite heavily on children's books here, but that's probably because I read My Sister Lives on the Mantelpiece last night and haven't quite recovered from how good it was. Or how beautiful these are. There are tonnes of different books to choose from, from Dickens to To Kill A Mockingbird, to one of my all-time favourites, One Hundred Years of Solitude. Just gorgeous! Each costs between £30 and £35, with shipping being £10 for a sensible-sized book, and the gulp-inducing "price on request" for the really large ones. It's a very special book treat indeed. 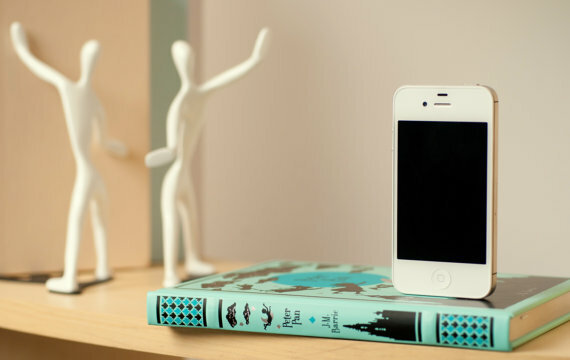 Remember that post I did about beautiful shelf brackets? Well, my bookshelf is now up, and after staring forlornly at my books and wondering why they looked like a disorderly bring and buy sale, I ordered them by colour. I realise a gazillion people before me have done this, but it looks so lovely I wanted to share it with you. This is very much a beginner's effort, so if you've organised your books into a beautiful order, or love having favourites to hand in a higgledy-piggledy fashion, leave a comment below.